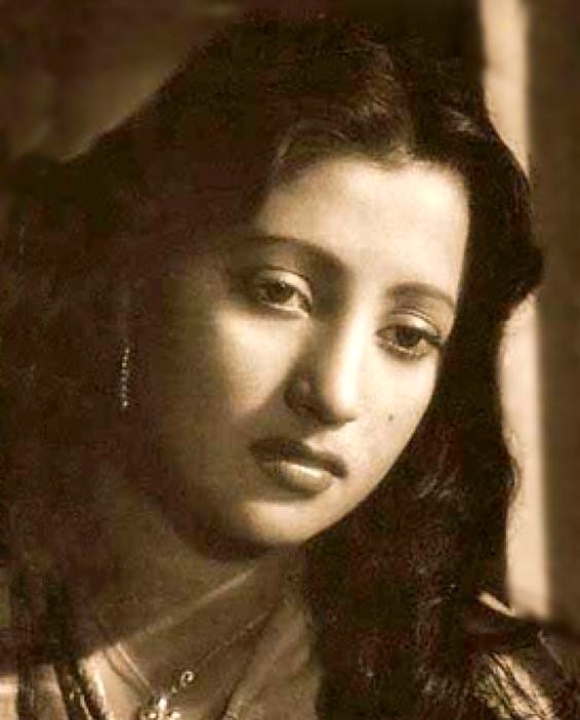 Restricted herself mostly to Bengali Cinema , Mrs Suchitra Sen remained in every cinema lovers heart as an emotional, romantic actress who was bestowed with heavenly beauty, grace, personality ………………a diva higher above than ordinary. 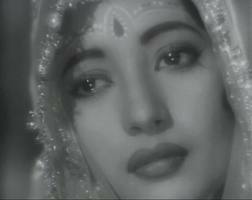 Her beauty was like a myth…………….and she kept it lifelong………………she was evergreen……………like Greta Garbo she too took reclusion and thoroughly stop bothering media at the point when she was at the peak of her career. Until death she maintained her reclusive status strictly and never ever came out to public by any means. 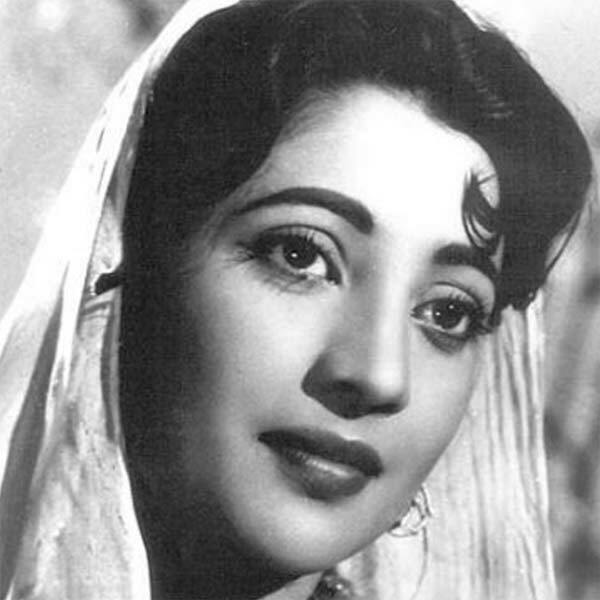 In due course she refused the Honorary Dadasaheb Phalke Award and many more. 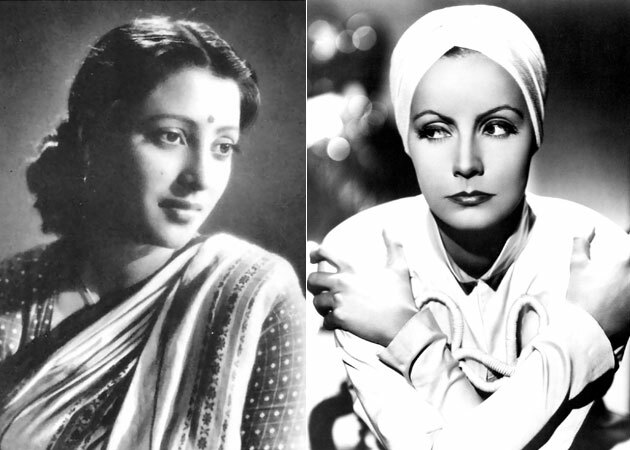 She started her career after being married to renowned Bengali Industrialist Sri Dibanath Sen. 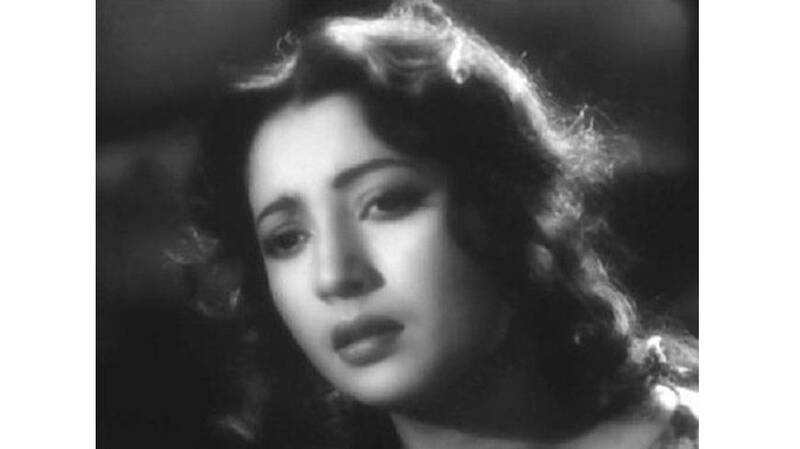 Her first film was Sesh Kothay (1952)[where is the end] which remained unreleased. 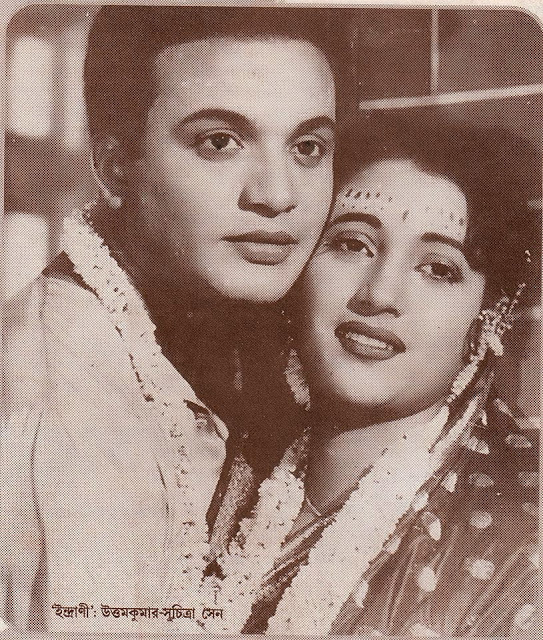 It was with Bengal superstar Sri Uttam Kumar which gave her notification from the movie Sare’ Chuattar[74.5] and Uttam Kumar Suchitra Sen’s pair got the first step to its legendary popularity. 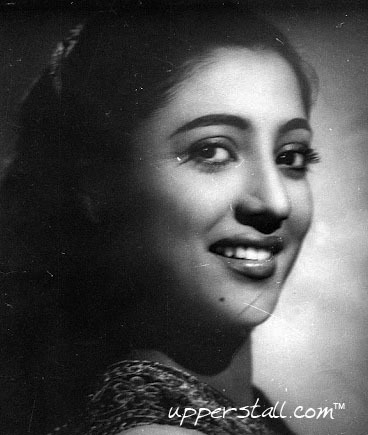 Followed by movies like Shaapmochan, Sabar Upare’, Indrani, Agni Parikhsha, Harano Sur, Saptapadi, Sagarika, Trijama, Bipasha, Pathey holo deri, and many many more she proved herself to be the best pair with Uttam Kumar and remained one of the leading actress of cinema lovers. 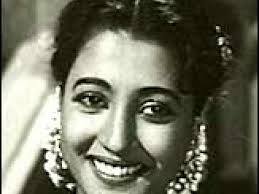 She was the first Indian actress to win an International Award for her role in the movie Saat Paake’ Bandha[ in hindi Jaya Bachchan enacted movie Kora Kagaz]. 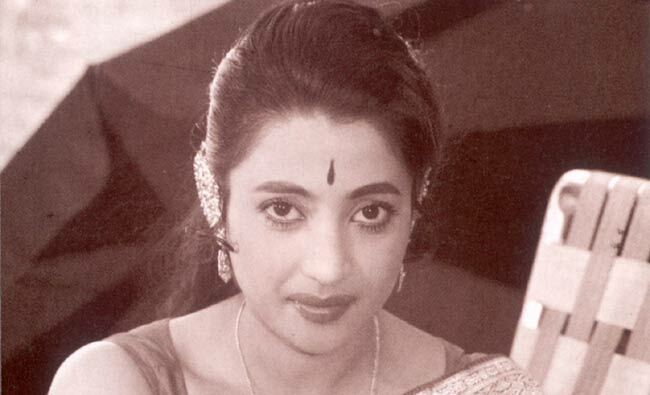 Apart from that she enacted in Dweep Jwele Jai[ in hindi Khamoshi], Mamta[ bilingual Hindi and Bengali]. 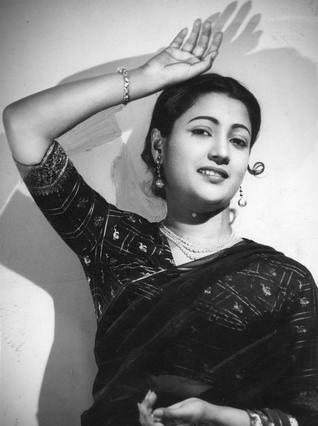 For Mamta she got Filmfare Best Actress Award nomination but at the same year Waheeda Rahman enacted Guide was released and she[Waheeda] won the best actress Filmfare Award. 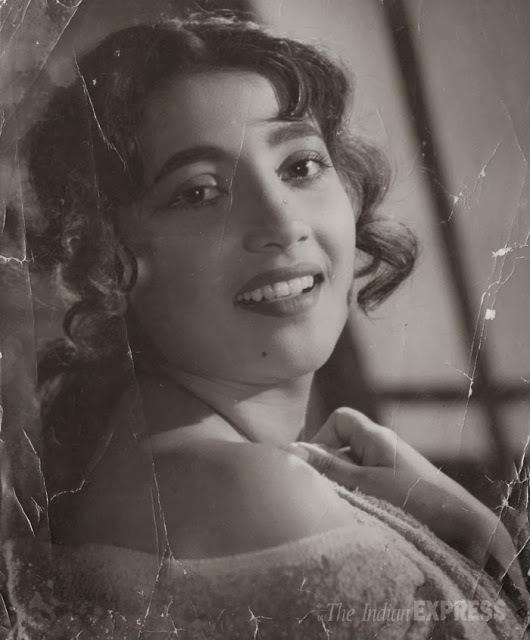 She tried her acting in Hindi Movies too and enacted in few movies but as she concentrated on Bengali Cinema more she put down many big Directors of Mumbai like Raj Kapoor. 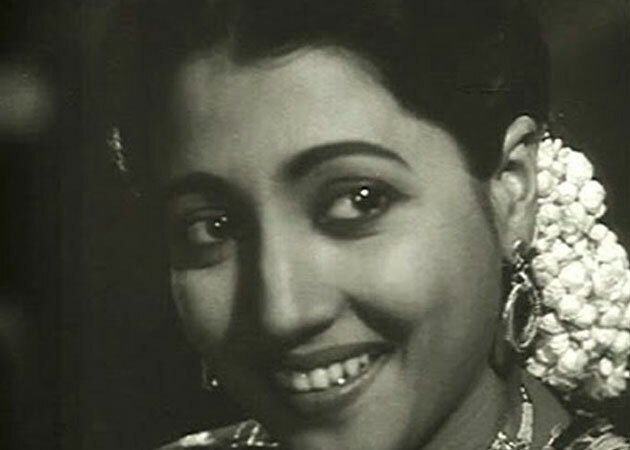 Her few notable movies in Hindi are Devdas[ opposite Dilip Kumar Saab], Bombai ka Babu, Mamta and above all Aandhi. 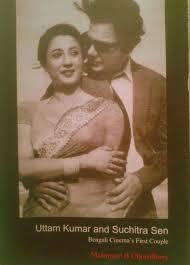 It is said that Gulzar made the movie Aandhi inspired by the life of Srimati Indira Gandhi and the script was written exclusively for Suchitra Sen in the lead role. 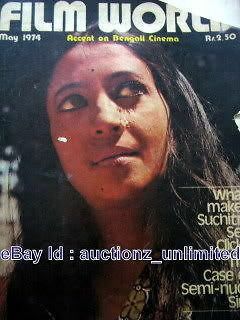 Due to date problem she even refused Sri Satyajit Roy who wanted to do Devi Chaudhurani along with her. 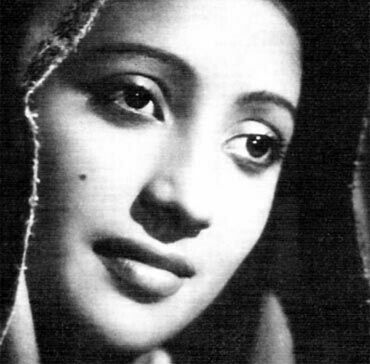 Later on, another Bengali director Sri Dinen Gupta made a film Devi Chaudhurani with Suchitra Sen. These few words are nothing to describe such a legendary actress like her. At her death right from the President of India, Prime Minister of India , Bangladesh Prime Minister , legendary actor Sri Amitabh Bachchan and many prominent personalities mourned and her cremation was started with an honorary gun salute. 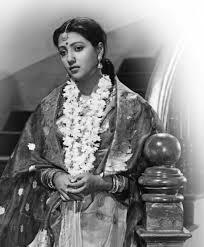 How a small town girl developed herself into a magnificent persona, by her acting by her grace by her enchanting magnetism ……………….. that will be always an inspiration to all.